Extreme rainfall events like the one experienced in 2018 in many parts of East Africa, may be connected to another similar event thousands of Kilometers away, an international team of experts has found in a study published in one of the world’s leading scientific journals, Nature. They discovered a global connection pattern of extreme rainfall – which could eventually improve weather forecasts and hence help to limit damages and protect people. Extreme rainfall events are on the rise due to human-caused climate change, which makes the study even more relevant. The researchers developed a new method rooted in complex systems science to analyze satellite data. They revealed that extreme rainfall patterns are likely linked to giant air flows known as jetstreams that circle the globe high up in the atmosphere, forming huge waves between the Equator and the Poles. Each year, extreme rainfall events cause devastation around the globe. For example, extreme rainfall has led to particularly severe flashfloods and mudslides in North India and Pakistan in recent years. 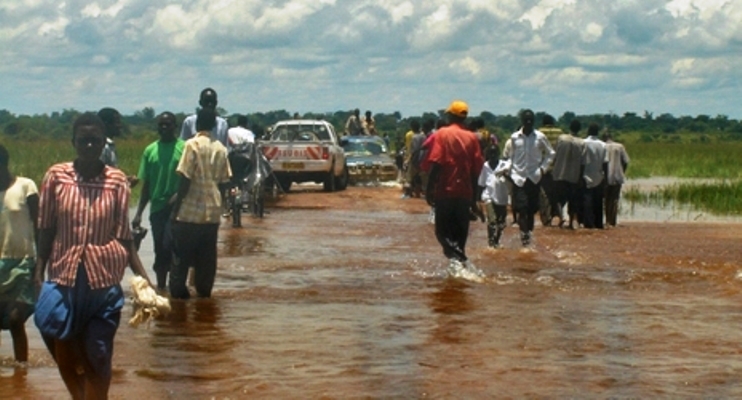 In Uganda and much of East Africa, the heavy rainfall that was experienced in 2018 killed dozens of people in flooding as well as widespread damage to infrastructure including washing away roads and bridges. “We unravel a global teleconnection pattern that governs the occurrence of extreme rainfall events, and identify specific types of atmospheric waves as their likely main cause. The gained insights into atmospheric dynamics and the relation to extreme rainfall events will help increase our capability to predict such events,” says Niklas Boers from the Potsdam Institute for Climate Impact Research (PIK) and Imperial College London, lead-author of the new study. “The new technique applied to satellite data shows very surprising relationships between extreme rainfall events in different regions around the world,” says co-author Brian Hoskins, chair of the Grantham Institute at Imperial College. High-end mathematics and interdisciplinary science yield results with huge practical relevance. By breaking the globe into a grid, the team could see where events occurred and statistically determine their relations – even if the events did not occur at the same time. The researchers could thereby detect so far invisible patterns. “This frontier interdisciplinary study, combining complex network theory and atmospheric science, yields breakthrough insights in studying extreme rainfall,” says co-author Jürgen Kurths, also from PIK.